Summer salad recipes are a must during those warmer days. A collection of 15 fresh, flavorful and wholesome ways to get add variety into your meals. These healthy globally inspired salads are loaded with flavor! The sun is blazing and summertime calls for some light, healthy and delicious meals! 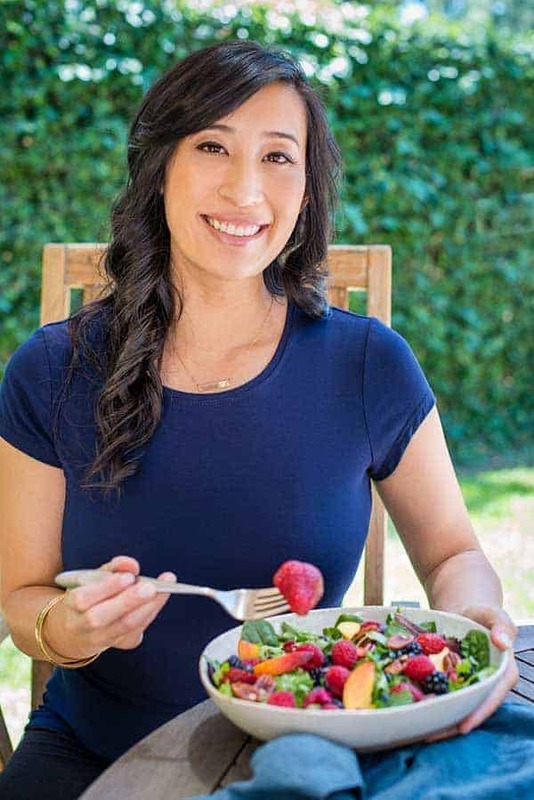 To beat the heat and stay bikini ready, I’ve got 15 summer salad recipes for you to try and recreate right at home. 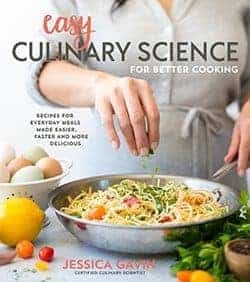 If you are looking for a quick pasta salad with a twist, a fresh and fruity option, a smokey grilled salad, or even a heartier entree salad with protein, it’s all here! These salads are packed with exciting ingredients inspired by flavors around the globe. The key to a great salad is pairing the vegetable base with just the right dressing. This roundup provides tasty salad recipes highlighting how to enhance tender greens or heartier vegetables, for any occasion. Become a pro with my tips for creating homemade luscious dressings by making the perfect emulsion. You will also learn how to make vegetable and fruit “noodles” for a more exciting a different salad. I can’t wait to hear which one is your new favorite vegetable packed recipe! Take a trip to Greece with this light, fresh and healthy grilled salmon salad recipe. Crisp vegetables, tomatoes, and feta cheese are tossed in a tangy lemon basil dressing and topped with flaky grilled salmon. This popular Chinese chicken salad is loaded with crunchy toppings and vegetables! A crowd-pleasing appetizer tossed in tangy soy ginger dressing. Take your salad game to the next level by “spiralizing” carrots, zucchini and summer squash into low carb vegetable ribbons. You won’t wait to skip the irresistible crunchy chickpea topping for added protein and fiber to each serving. Hearty kale and colorful cabbage are made tender by thinly slicing the vegetables and dressing them in a smooth, savory, and creamy peanut dressing. This Thai style coleslaw will make any traditional recipe more exciting and exotic! If you haven’t tried Asian pears, now is the time to take a bite of the crisp, sweet, and slightly tart fruit. The firm texture is perfect for combining with tender edamame beans, cool cucumber, crunchy carrots, and ripe orange slices, all in a bright citrus ginger dressing. All hail Ceasar! 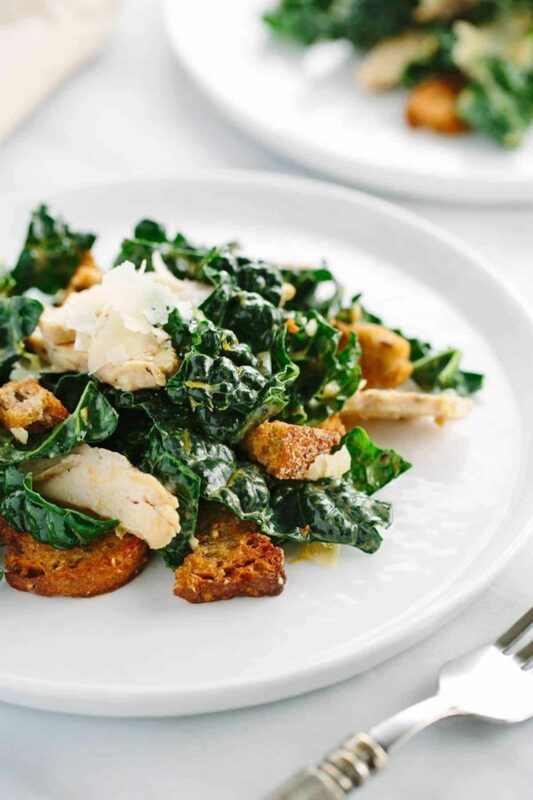 This extremely popular salad gets a healthier gourmet makeover with Tuscan kale, homemade whole wheat croutons, and tender sliced chicken. A light anchovy-based dressing adds incredible depth of flavor to greens! Summer is known for ripe berries and stone fruit, which are the stars of this sweet, savory and crunchy salad. To make a fruit dressing, sliced peaches are pureed with olive oil, lemon, and a touch of honey for luscious drizzle of flavor. Hearty grilled vegetables like eggplant, zucchini, yellow squash, bell peppers, and corn are chopped and tossed together for the ultimate smoky salad. A tangy citrus salad balances the charred notes of the barbecued vegetables. Broccoli never tasted so good! This coleslaw is packed with colorful superfoods and antioxidants like kale, red cabbage, carrot, cruciferous broccoli, and cranberries. It all comes together with a creamy dijon dressing and topped with lean chicken for extra protein. Vegetables do not always have to be the main ingredient in a salad. Sweet and tart Granny Smith and Fuji apples are cut into spiralized thin ribbons of fruit, for a crunchy and fun dish. The salad is dressed with a citrus vinaigrette and topped with savory cheddar cheese, crunchy pecan and tart dried cranberries. If you are a fan of elotes, Mexican street corn that has been grilled until the kernels nearly pop and drizzled with tasty toppings, you will love this healthier salad version. Lightly grilled fresh sweet corn combined with crunchy cucumber, red onions and bell pepper for a fiesta for your taste buds. A smoky and slightly spicy yogurt dressing adds just the right amount of creaminess. 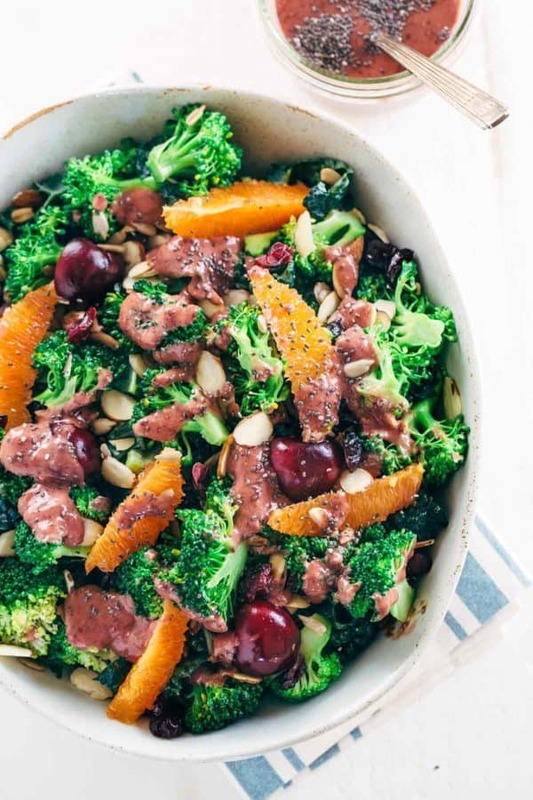 If you want a salad that will keep you energized throughout the day, this broccoli salad is loaded with nutrients for the boost you need! Superfoods contain health beneficial phytonutrients that can only be found in plants. Each ingredient is carefully selected to you get a balance of healthy ingredients for nutrition and taste! This elegant salad is designed for when you are wanting to impress with these colorful elevated ingredients. Tender lettuce, crunchy beets and peas, and ripe berries are generously added to the bowl. The goat cheese just got better by coating it with a crisp crust to add a little pizzazz to each bite. Add a little Asian flair to any boring pasta salad by using tender buckwheat noodles. Fresh sugar snap peas, bell peppers, cabbage, and cucumbers add and addicting crunch to the twisted noodles tossed in a soy dressing. If you are looking for a healthy and light entree salad, this sesame crusted salmon with rice noodle salad is a special treat for your taste buds! Load up on fish protein, heart-healthy omega-3 fatty acids and a flavorful bed of crunchy vegetables. Take advantage of all of the ripe seasonal fruits and vegetables during the summer season, and let them shine! Whether you are preparing meals for lunch, dinner, or bringing to a party, these healthy salads will provide a pleasing dish for any eating occasion. Now that you have over two weeks of salad recipe ideas, which one will you try first? Leave me a comment below, I’d love to hear!